Did you receive an Instant Pot recently? Looking for some Instant Pot Recipes to try? This Instant Pot Broccoli and Cheese Soup recipe is delicious and so easy to make! I admit, I am late on the Instant Pot train. I just received an Instant Pot for Christmas and I am all about it! My biggest question is, what took me to long to board the Instant Pot train? Every recipe I have made in it is so simple, FAST and turned out delicious! With the cold weather tearing through my bones recently, I have been craving some warm comfort food. Recently, I made this Broccoli and Cheese Soup in my Instant Pot and served it up in bread bowls to the family! Let me tell you, it was a hit! 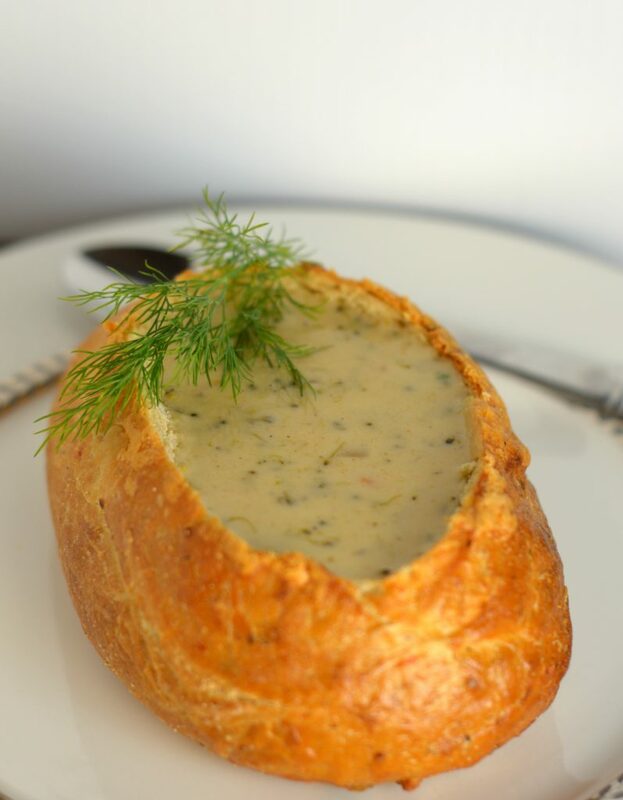 Check out my Instant Pot Broccoli and Cheese Soup Bread Bowl Recipe. Push the Saute button on your Instant Pot. First add butter and melt, then stir in onion and carrots. Cook until onion for about 2 minutes, stirring constantly. Stir in garlic and flour and cook for 1 minute. Slowly add in broth and stir until no flour lumps remain. Add your broccoli to the pot, cover, and set Instant Pot to cook at High Pressure for 8 minutes. When your 8 minutes are up, do a quick release of pressure, open lid and turn off the pot. Stir in salt, paprika, dijon mustard, dill, and pepper. Add cheeses and mixing until everything has melted. Heat oven to 350 degrees. Cut the center of the bread out for bread bowl and toast in the oven for 5 minutes. 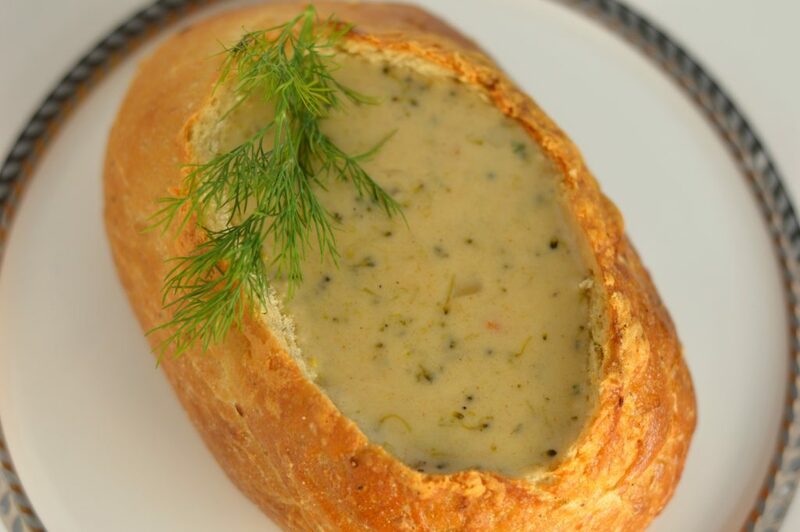 Remove bread bowls from the oven and pour soup into the center and serve.